A mixture for you today. These things have all made my top five of the week. I haven't stopped stalking this girls blog, I want to steal all of her ripped denim goodies. This song by The White Stripes, an oldie but always a goodie. I LOVE this song by My Bubba and Mi, I play it alllll the time. Just so nice. 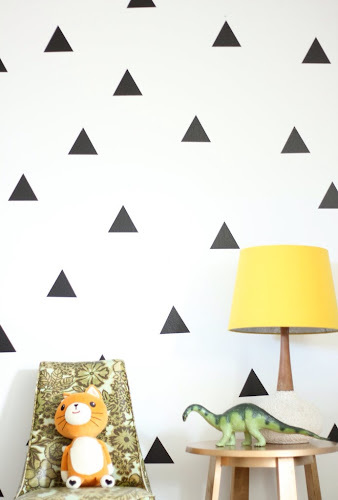 These wall decals from Etsy, there is something very appealing about a bold wall with zero commitment. And as a bonus because I couldn't find a link. Look up the song Sascha by Jolie Holland, old worldly goodness. Hiya - could you please tell me where you got your black bathroom vanity handles from ? thx!